Born in Cebu City, Philippines Chip was adopted by the McGuire family and traveled the 8,865 miles to his new "Hometown" of Adairsville, Georgia. Here he met his band mates and together they have created a unique style fusing together elements of bluegrass, country, Americana, rock and folk known as "Nu-Grass". Chip continues to write new music and blends every ones personal style of playing into something that translates into an electrifyingly energetic sound that is truly original and makes for an explosive live show. 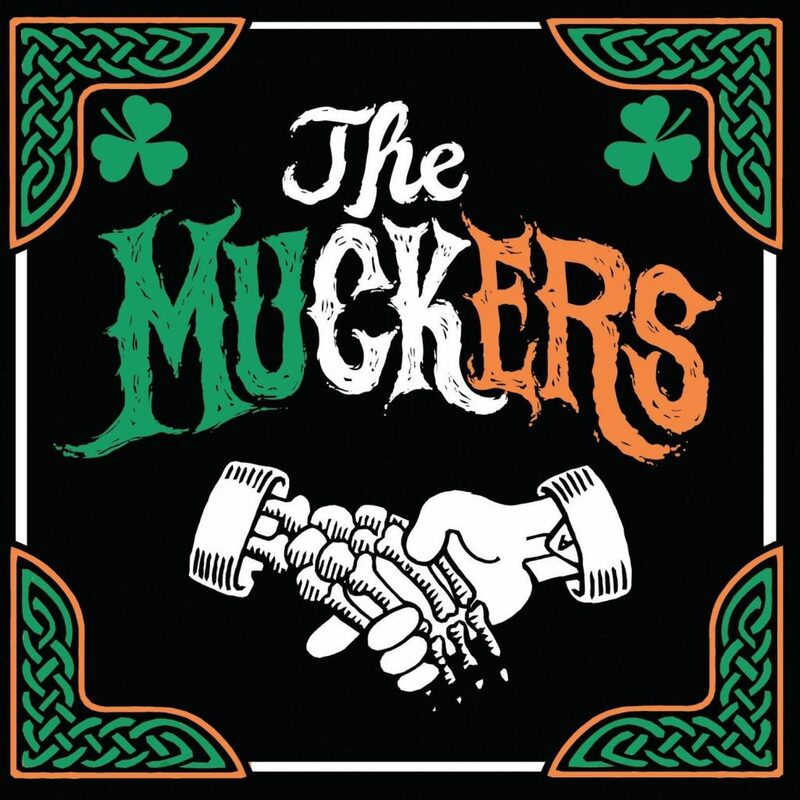 The Muckers are a five-piece folk-rock band from Atlanta. With a strong emphasis on Irish music, the band also blends influences of Gypsy music, sea shanties, country, rockabilly, and anything else they can get their hands on. The name doesn’t mean what you think it means. 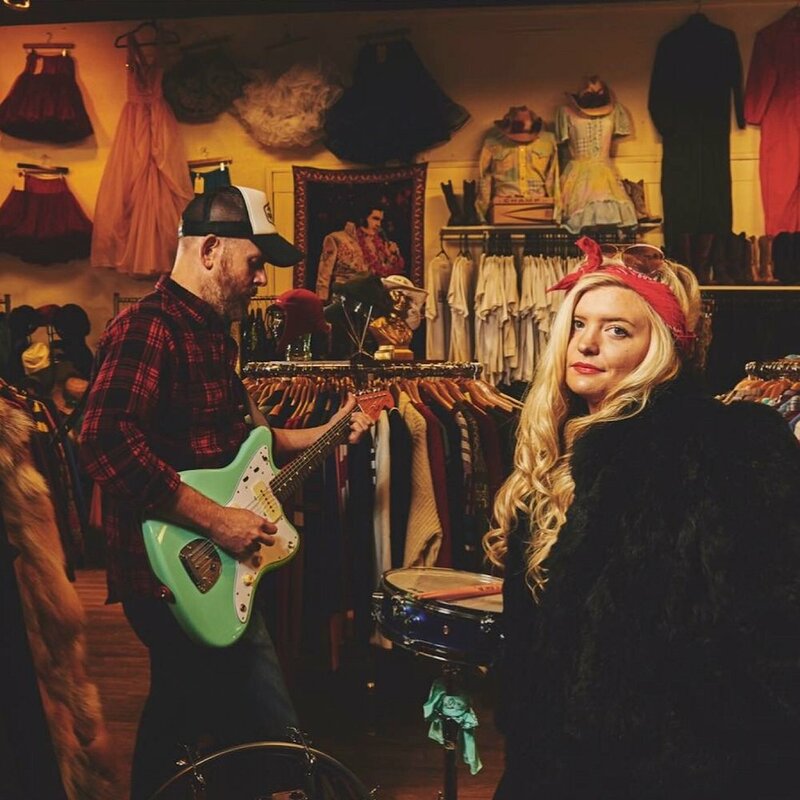 It's possible that Rye Baby is the love child of Dolly Parton and Link Wray, or even Loretta Lynn and The Cramps. They won't say, choosing instead to let their music do the talking. One thing is certain: this sassy yet substantive duo knows how to quicken your pulse. 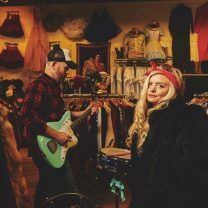 Their seamless fusion of rockabilly/surf with garage blues, rock n' roll and a pinch of punk country will stir your soul. 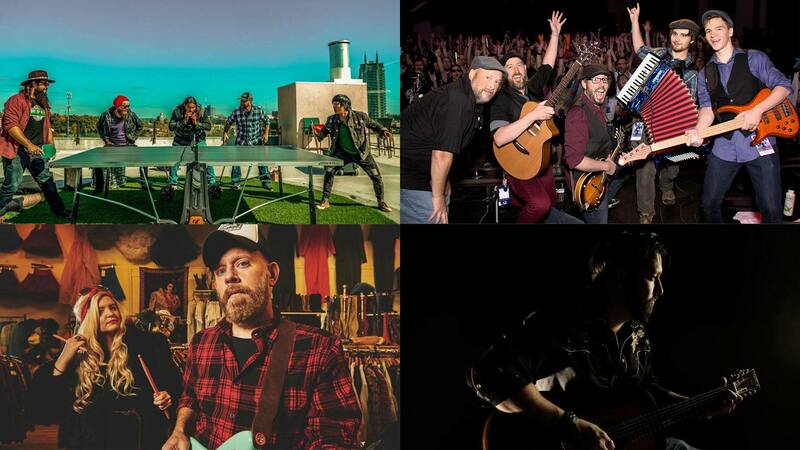 Separately they are forces of nature as multi-instrumentalists and storytellers; together their combined talents result in a rollicking, high-energy show you won't soon forget. 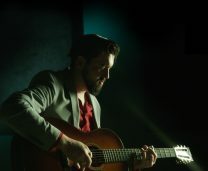 Songs like "Doomsday Wedding" and "Creek Gon' Rise" showcase the way Rye Baby defies genre labels and exceeds expectations. Since forming in 2013, Rye Baby's constant touring has brought them an ardent fanbase in the southeast. Being native southerners, their engaging storytelling comes naturally. What makes them unforgettable is the passion and chemistry evident in every note. Their latest single, Doomsday Wedding as well as the 2017 E.P., Shiny Fiction, available now on Bandcamp and most mainstream digital platforms and streaming services. Rye Baby is: Jennifer Brumlow (vocals, drums, guitar, harmonica) and Callie Harmon (baritone guitar, electric guitar, vocals, and drums). Aden Paul is a Louisiana singer-songwriter whose music combines folk and bluegrass to tell stories steeped in American tradition and rich in imagery. 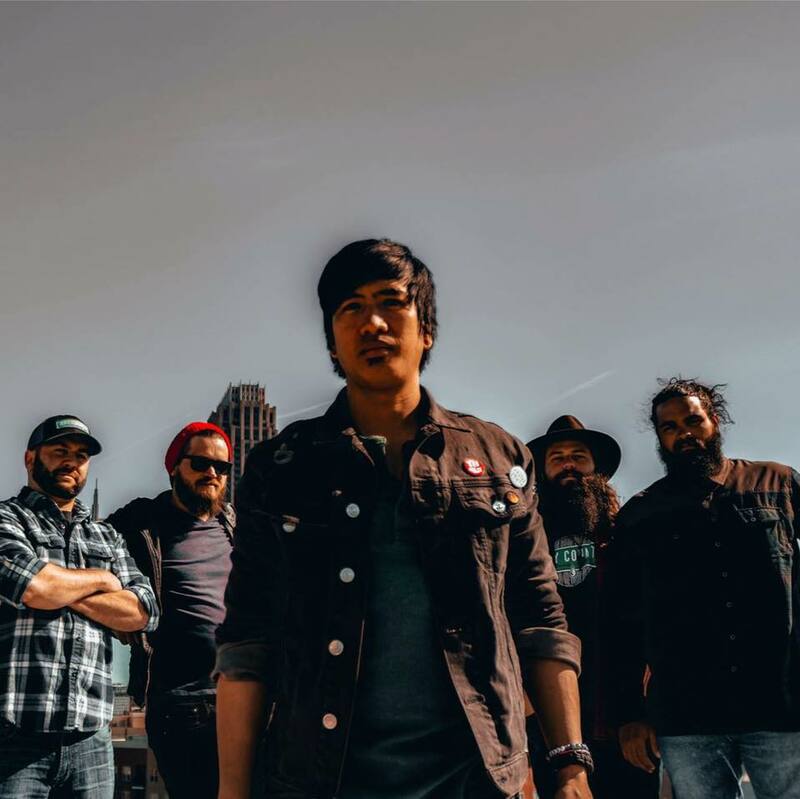 He has toured nationally and recorded two albums fronting the country/punk band the Rotten Cores but has recently focused his energy on solo acoustic efforts, performing by himself or with a small ensemble. In this more intimate presentation, Aden Paul's strongest attributes come to the forefront, namely his poetic lyrics and proficient acoustic guitar playing. His lyrical world is one inhabited by dark Southern Gothic characters and embattled but hopeful lovers living out their deeds and misdeeds to a score of folk fingerpicking and bluegrass flatpicking. Aden Paul is currently preparing for his first solo record, on which he'll be working with Grammy-winning producer and recording engineer Tony Daigle. He performs regularly throughout New Orleans and Lafayette, LA.